But the call from Church leaders to establish peaceful, stable settlements in the volatile region still stands, so young Mitch Westland and his family must find a way to make a home amid the harshest of circumstances. They soon learn that their only chance of success lies in uniting together with the other faithful Saints—including the Zimmers and their charming daughter, Edie. Can the families withstand the blows that seem to come every step of the way as they struggle against man, nature, and their own fears to heed a prophetic call? Many settlers will try to conquer that rugged territory, but only the brave will prevail. 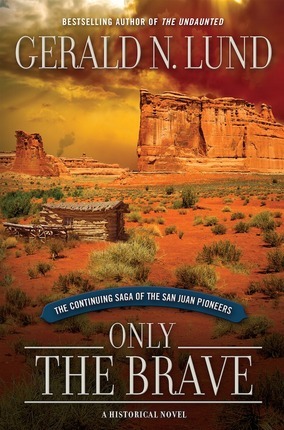 This is the continuation of the undaunted pioneers but four years later. The establishment of other towns / communities and what they dealt with. 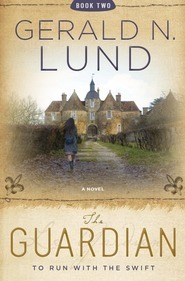 Lund weaved the historical facts with some new characters superbly and it was hard to put down. It is just really uncomprehensiable what they went through to establish the communities and towns we know today. Their sacrifices and contribution are beyond our understanding. As I read this book I had time to reflect on their contribution to the saints today and furthering the restoration of the gospel in these latter-days. 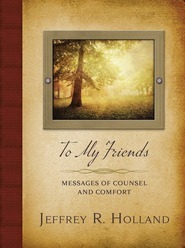 A must read for anyone that has gratitude and appreciation for our pioneer saints. One thing I've always loved about Gerald Lund's books is how real his stories feel. His characters seem to live and breath both the fictional ones and the real ones. I've also always appreciated his honesty in terms of what he has added or changed to make the story work, it's helpful in terms of knowing what really happened and what didn't. 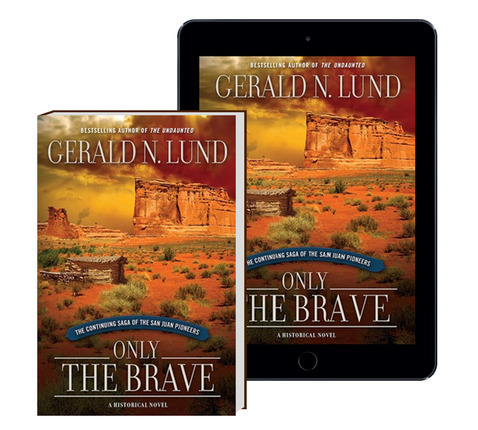 Only the Brave is just as good as all his other works. I can safely say that the people who settled the San Juan area were truly courageous people. To settle in such a harsh landscape, far away from any real source of help, they were really on their own most of the time. The notes that the author includes at the beginning make reference to church leaders referring to these pioneers as buffers, shock absorbers, and lightning rods. I'm pretty sure that if I were called that it would make me run away very quickly. Great characters, Great story. Great book. 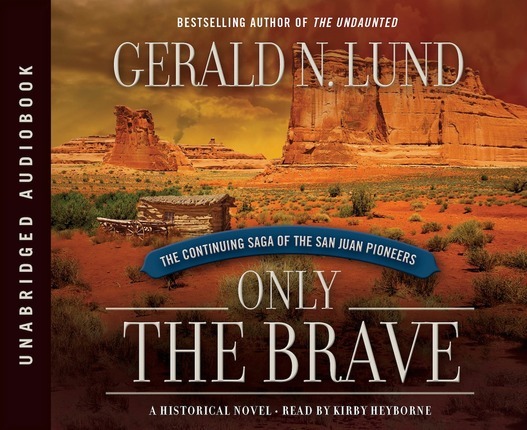 And this book is appropriately named...for ONLY THE BRAVE could have lived through what these people had to live through. It is 1884 and the Saints have been in the San Juan valley for four years. *They were to become a buffer between the white man and the Indians. *They were to be like a the shock absorbers on a wagon, which soften the blows for those riding in the wagon, or in this case, those in the other settlements. *They were to be like a lightning rod, which draws down the fires of heaven upon itself so they do not consume others. Life is definitely hard as they battle nature and Indians and rough outlaws and competing ranchers. Church leaders have been called to assess the situation and other families have now been sent to buoy up these Saints. You will read of true accounts of life in these harsh conditions. You will also be introduced to Mitch Westland and his family as they try to follow the directive of the Prophet. And you will learn of the Zimmers family and their strong-willed daughter, Edie. These two families will unite with the others...in this valley... that will test them to their very most inner strength.